This statue of Mario must have been fed a Super Mushroom, because he’s big enough to run and jump around in our world. According to its seller, the statue is 150 cm. or about 5 ft. tall. I’m not sure if that’s Mario’s official height, but it seems about right. You can get the statue from Amazon Japan for ¥ 285,000 (~$2,900 USD). 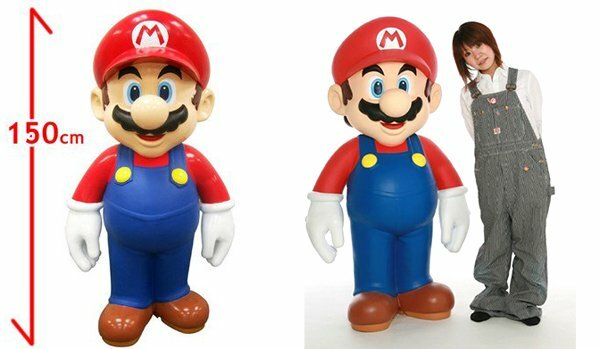 If you’re not a Mario fan, the seller also has other life-sized statues, including one of Spider-Man, Mazinger Z and Tetsujin 28 aka Gigantor.